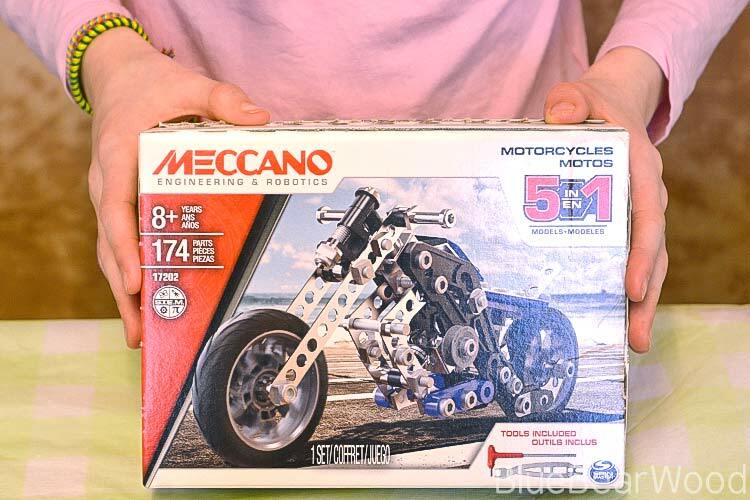 As you may already know we adore Meccano in this house and couldn’t wait to review the Meccano Motorcycles Moto 5in1 Kit when it was sent to us. 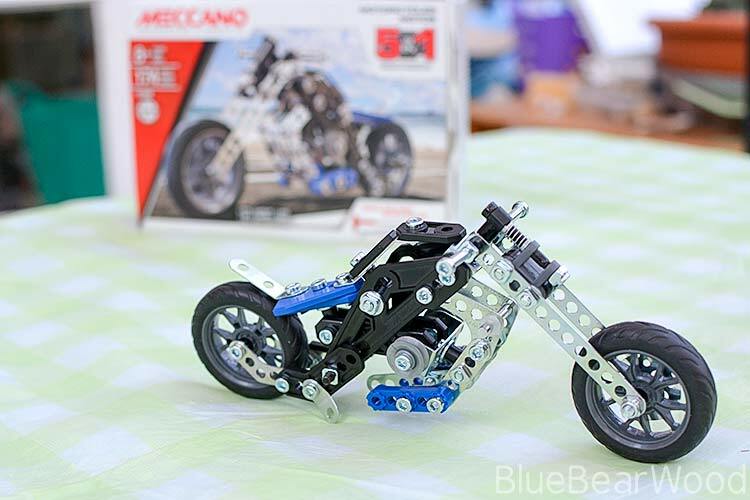 The Meccano Motorcycles Motto 5in1 is a smaller model than the other kits we’ve been sent to review. 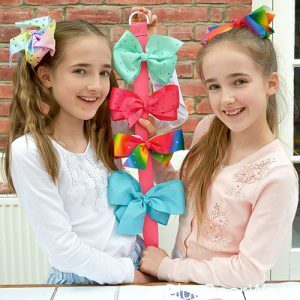 It contains 174 pieces (includes the usual Spanner and screwdriver type tools). 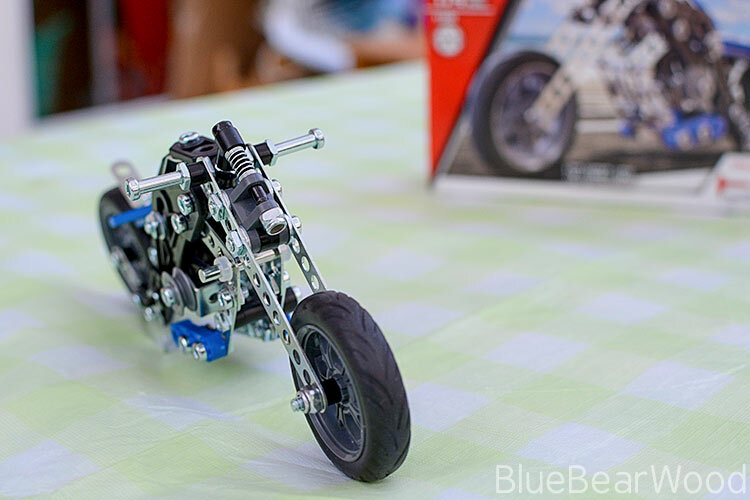 There are instructions to make 5 different styles of motorbike available to build; three are in the instruction manual and two other are available online. We chose to make model three in the booklet. 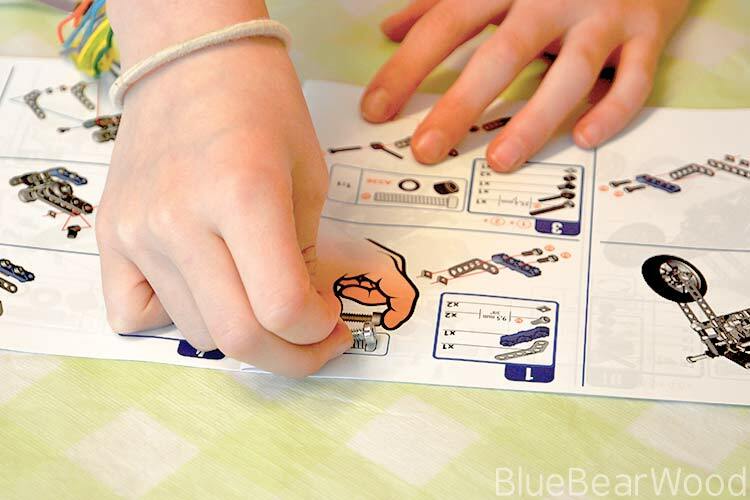 The Meccano booklet, as always is very clear and easy to follow. The first page shows you all the different ways you can use and manipulate the two tools tat are includied. Then there is a contents page showing diagrams of the three bike styles in the book plus images of the other two bikes that you will find online. It’s worth taking the time to organise the screws in this kit as there are quite a few and you don’t want to use them in the wrong place. We did notice that a couple of the to scale diagrams were slightly out of scale but because they are also numbered we were able to cross reference and use the correct one! We built this over a couple of days, putting in a couple of hours each time. 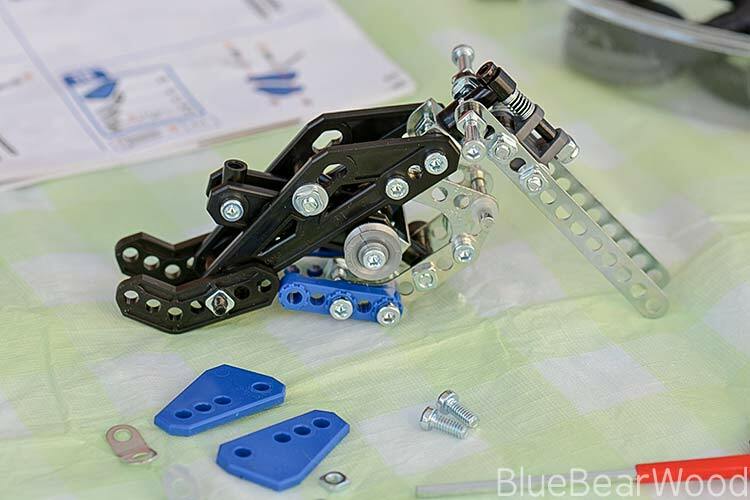 With this particular model we found the trickiest area was putting in the seat as you need to manipulate the chassis a little to get one particular screw to slot into place. Then it was on to the wheels. The final model will stand up on its own with careful tweaking of the kickstand that’s built into the model. We found that the back wheel didn’t turn freely when finished as it rubs up against two of the bolt ends on the wheel brace. You could remove these particular nuts and bolts but them then you create some vertical movement along the wheel axis. For us, the wheel movement isn’t a problem because the finished bike is more of an ornament than a toy. 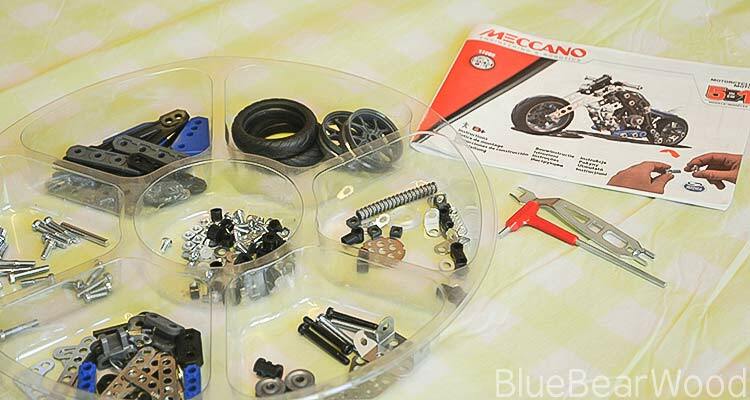 As always this is a lovely solid well made construction kit by Meccano. 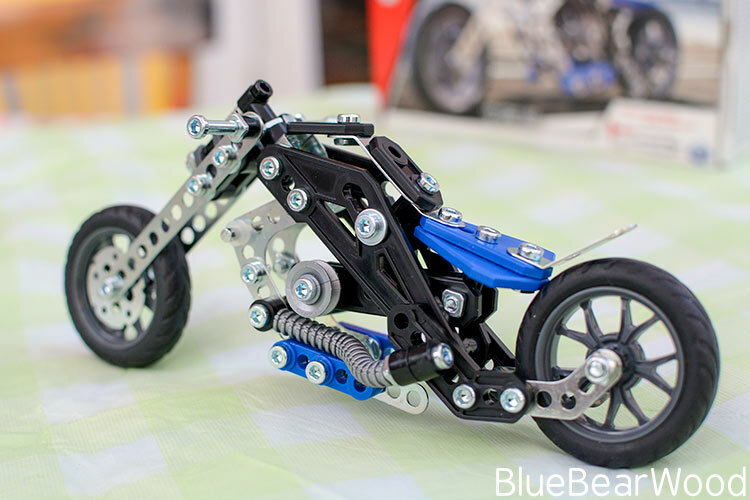 The 5 different Meccano Motorcycles not only allow the kit to be reconstructed many times but they also give the kit extra depth and from an educational perspective. 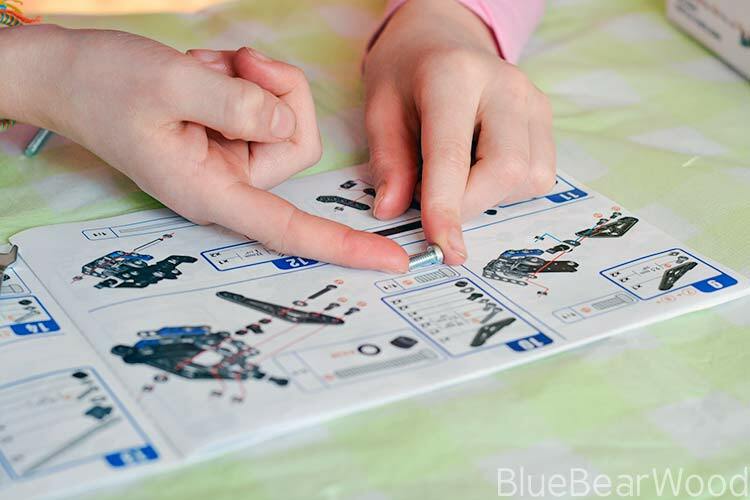 Allowing a child to investigate 5 key shape designs when it comes to bike building provides an opportunity to talk about seat position, wheel axis, handlebar alignment, length of chassis for example. This can then feed into their own free play construction design. 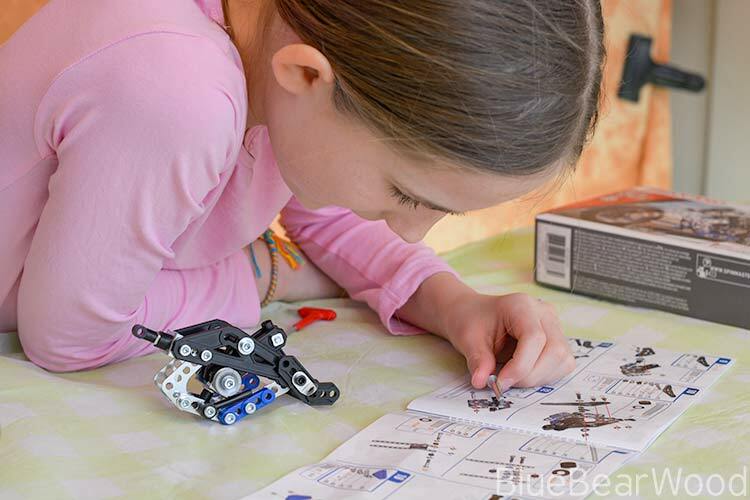 If you liked this review then have a look at our other STEM Toy and Construction Toy reviews. That looks like a super neat project to work on. The details on the mortocycle are incredible. 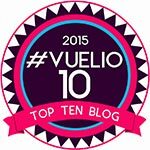 This looks like great fun, my boys would love it! 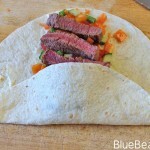 Looks quite tricky though – would pass to my husband! This is awesome! 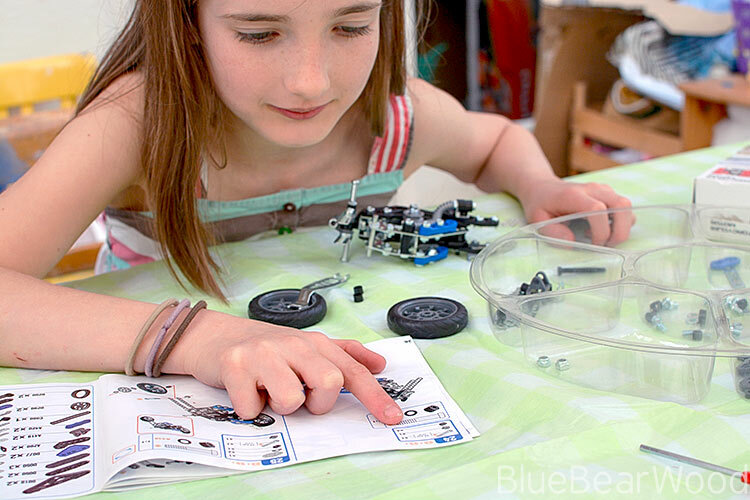 What a great toy for getting young girls involved in STEM. 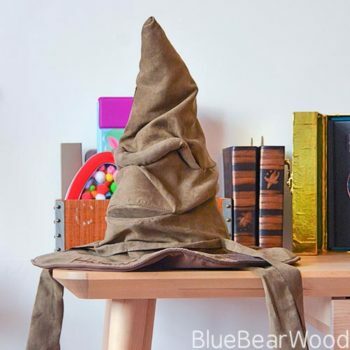 I need to get this for my niece. 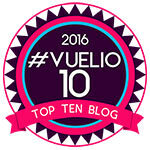 This looks great fun – they really do keep you absorbed in them for hours! I do love mecca no, and can’t wait until my little one is old enough to enjoy building things too. 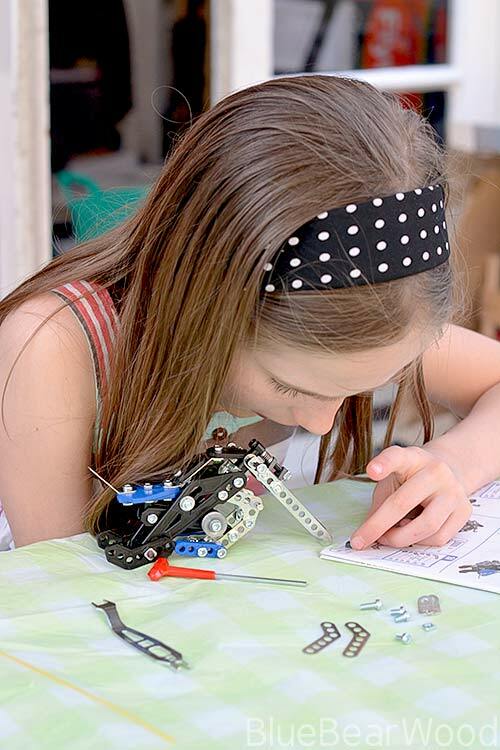 Meccano is such a classic toy, and brilliant for helping to follow instructions which is such a life skill. Meccano! That takes me back! 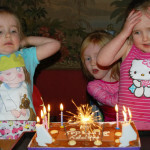 Lovely to see your little one looking so engrossed with it. This sounds like a great kit and I like the fact that even a girl will enjoy playing with it. This is such a cool kit and the final result is totally amazing!